A company's supply chain is only truly sustainable if its suppliers' leadership is equally committed to the cause. 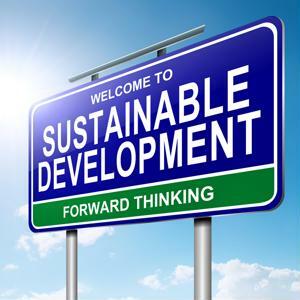 If just one partner fails to implement operations that disacknowledge environmental or social considerations and neglects to use resources efficiently, the enterprise procuring goods from this entity will have an incomplete sustainability strategy. Apple's reputation encountered some setbacks in 2012 when investigators uncovered unfair and unsafe employment practices by Chinese manufacturers that were producing iPhones. Mattel was forced to recall nearly 1 million toys in 2007 due to lead paint used by its supplier in China. In 2012, Nintendo received poor marks regarding its efforts to ensure it wasn't directly or indirectly sourcing conflict minerals. Greenstein asserted that these grievances occurred because the aforementioned companies failed to gain full control over their sourcing. She maintained companies can resolve this issue by implementing more stringent policies regarding suppliers. For example, during the request for proposal process, the purchasing department could implement a clause that obligates suppliers to submit regular reports detailing sourcing, labor and environmental practices. Jessica Wollmuth and Velislava Ivanova wrote a piece for GreenBiz acknowledging the importance of establishing standards to impose upon suppliers. The duo recommended using a simple benchmarking questionnaire or self-assessment document. In addition, companies should connect with their suppliers' other customers to deduce whether hidden problems are falling through the cracks. Wollmuth and Ivanova also noted that organizations can take advantage of industry-specific questionnaires. For instance, electronics and IT hardware enterprises can access the Electronics Industry Citizenship Coalition Self-Assessment Questionnaire while those in the drug sector can make use of the Pharmaceutical Supply Chain Initiative Self-Assessment Questionnaire. For example, Pacific Gas and Electric uses the Electric Utility Industry Sustainable Supply Chain Alliance survey to identify how well its suppliers are performing in regard to greenhouse gas emissions production, a key issue that is impacting many electricity providers across the United States.